Land Surveying & As-built location Surveys. Surveys small lots to large boundaries of any size. Surveys to state standards. Surveys to ALTA standards per request. Putting up a fence? You need to make sure you put it on your lot. 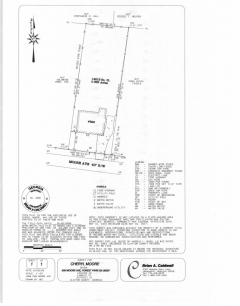 Property lines marked, corners found or replaced without the expense of a full survey with plat. We call it a pin-set. For your fence we will replace missing iron corner pins and place stakes with orange flagging beside them. Additionally we will place 2 stakes on your side lines perpendicular to the rear corners of your house for fence corners. 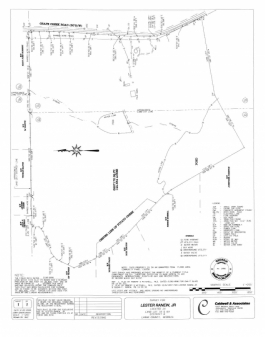 Need all the features of your property shown to scale on a map? Ask for a full survey. A plat will show all permenant improvements to your lot such as, house, drive, sidewalk, pool, above ground utilities, lot dimensions, FEMA flood hazard statement, accuracy statement, offsets from your front and side property lines to the nearest house corner. Simple proposed additions can be shown.